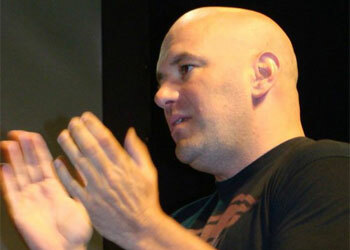 UFC president Dana White has made no bones about his obsession with taking over the sports world. Following Saturday night’s UFC 118 event, the ambitious promoter announced they have hired a highly regarded former NBA China executive to head their Dedicated Asian Operations division. “We just hired a guy gentleman named Mark Fischer and he’s the executive vice president and managing director of the Ultimate Fighting Championship Asia. He’s gonna run things over there,” White stated at the post-fight press conference. It will be Fischer’s responsibility to build a roster of local talent and develop relationships with the sports federations in the Orient, including the China National Wushu Federation. The Octagon has hosted four events in Asia , all of which took place in Japan. Although the world’s premier MMA promotion hasn’t held a show there in the past decade, he believes his experience and savvy will help speed up the Eastern invasion process. Clearly, China and their 1.3 billion citizens appear to be their primary target. Although, Fischer sees other segments of the continent as potential hot spots as well.